Manchester United manager, Jose Mourinho, has taken a swipe at Chelsea and Manchester City, labelling them as "small clubs" who are benefiting from huge investment. Mourinho, who described United as "a giant", also admitted that finances at once smaller clubs has shifted the balance of power. The Red Devils remain the most successful team in English football, with Sir Alex Ferguson having overseen 13 Premier League title wins and two Champions League successes during his reign. Ever since he left, the battle for domestic dominance has become more intense and keenly contested, following the arrival of billionaire owners at clubs like Chelsea and Manchester City. 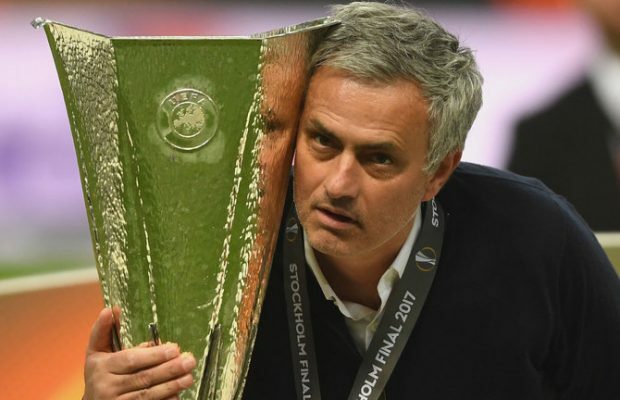 Mourinho is however convinced that he can help to push United back to the summit once more, but concedes it would be more difficult than it once was. "The club will always be a giant but our job is to try to bring the football team back to that stature," he told UEFA's official website ahead of their Super Cup clash with Real Madrid. "That's something really difficult these days: before, the giants were the powerful ones economically, and now there are small clubs in terms of prestige and history who are giants economically. That changes absolutely everything. "But my feeling is that I want the team to be on a par with the club's history, which is something I've been lucky enough to feel at every club: there was the same kind of feeling at Inter and Real Madrid. "This is where we want to be. And obviously we'll improve the team and try to be at that level."